Sales productivity may be a new concept for many sales executives. “Sales” is easy to understand, and “productivity” is pretty clear, but when those two words are combined the combination becomes a bit vague. What exactly is sales productivity, and why should you be concerned about it? Let’s start by examining productivity. We understand that the notion refers to the amount of labor it takes to accomplish some task or process. Take your warehouse, for example. It may take one hour of labor to pick, pack and ship a 50-item pick ticket. The ratio of one man-hour per 50-item pick ticket is a measurement of productivity. If your warehouse is going to get more productive, you must find some way to pick that 50-item order in less than an hour. Your business may grow, and your warehouse may pick an ever-increasing number of orders. But, if your warehouse doesn’t figure out a way to pick that order in less than one man-hour, you’re just getting bigger, not better. The lack of improvement in productivity would be a cause for concern. The same is true of sales. It may cost you $30.00 in sales costs to acquire $100.00 in gross profit (which, by the way, is a very real possibility). Over time, your sales person may acquire more and more orders and bring in an ever-growing quantity of gross profit dollars. But if he always costs you $30.00 for every $100.00 of gross margin, he’s not becoming any more productive. You’re getting bigger, but no better, at least in respect to your sales systems. If your market is growing rapidly, and if you’re achieving a comfortable and stable average gross margin, and if you don’t have pressures from any competitive sources, then, hey, don’t worry. You can stop reading this article and move on to perusing other interesting stuff. 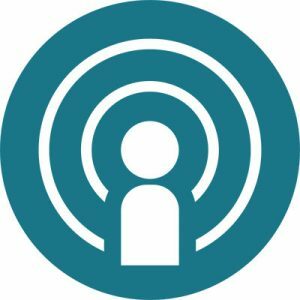 But, if your market is flat, or if you’re concerned about shrinking margins, or if you’re looking over your shoulder at the competition, or, if you just want to be really good at sales, then “sales productivity” is a concept you need to bring into your business. 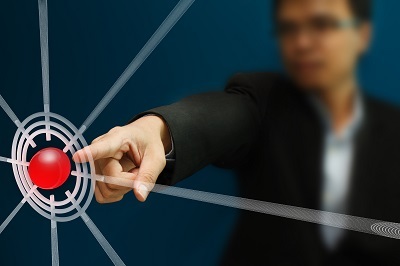 In addition to fending off some of the more frightening threats to your prosperity, there are some real benefits to improving your sales productivity. Take profits for example. Suppose your sales force currently costs you 25% of your gross profit dollars. And suppose that you could cut that by 1%, to 24%. What would happen to the money represented by that 1%? It could drop directly to the bottom line, which would not make you unhappy. But you could use it in other ways. You could afford to take some strategically important business at lower margins, for example. Or, you could use it to fund some new technology improvements in other aspects of your business, or purchase a beginning inventory for some new product line. The opportunities are endless. The point is, improving sales productivity will free up cash that can be used in several critical places. In an effort to respond to decreasing margins and competitive pressures, you’ve probably worked on some of the other aspects of your business. You may, for example, have invested significantly in computers. Most progressive companies are on their third or fourth generation computer systems to help manage their internal functions. Why did you buy those computers? Bottom line — to become more productive. The competition would have put you out of business by now if you hadn’t. You may have streamlined your customer service function, tightened up your purchasing and inventory controls, even figured out how to turn your receivables more quickly. All in the cause of becoming more productive – of trying to stay profitable in the face of competitive pressures and shrinking margins. But, if you’re like many companies, you haven’t done much to improve your sales productivity. And this in spite of the fact that sales force costs are generally the single largest cost (after cost of goods sold) that your company has. You know that if you’re going to survive in an era of shrinking margins, your business must become more productive. Having worked on improving productivity in other parts of your business, it’s now time to look at that portion which holds the greatest potential for improvements, the largest single cost to our company, the sales force. Here’s a good starting point. Begin by measuring your current sales productivity. Create a measurement that my clients affectionately call “Kahle’s Kalculation.” It will provide you a simple, easy, fair and accurate measurement of sales productivity that you can use over time to see if you’re making progress. You can use it to measure the productivity of each individual sales person, each group or branch, and the entire company. How do I feel about this sales person? Unfortunately, both criteria are like blunder-busses from days gone by. Gross sales is a measurement that survives as a vestige of a by-gone time. Sales productivity is a much more telling and sophisticated measurement. At the same time, “I think…, you think…” is often the mode that much sales management uses to evaluate a sales person. Using Kahle’s Kalculation can take all the emotion and the subjectivity out of evaluation, and replace it with unassailable measurements. Because of the way we’ve formulated Kahle’s Kalculation, the lower the number, the more productive is the sales person. So, if you have two sales territories producing about the same dollars of sales, if one sales person has a Kahle’s Kalculation number of 28%, and the other one has a number of 19%, the 19% sales person is more productive, and therefore, more profitable to the company. Regardless, this simple first measurement will get you into the mindset of measuring sales productivity and provide you a necessary first step to begin to make powerful and positive changes within your organization. Are your sales people ‘sharpening the sword’? Sales people often become stuck in their comfort zones and allow their skills and disciplines to slide. It’s human nature. But, it’s not good for them or you. Help them burst out of their routines with a short, weekly reminder. 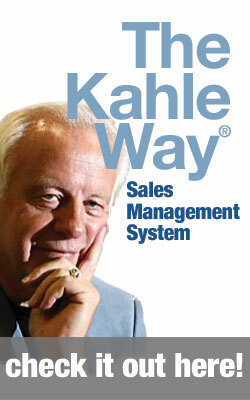 Sharpening the sword couldn’t be easier with our Kahle Way® B2B Selling System program. A few minutes a week, for less than the cost of lunch.